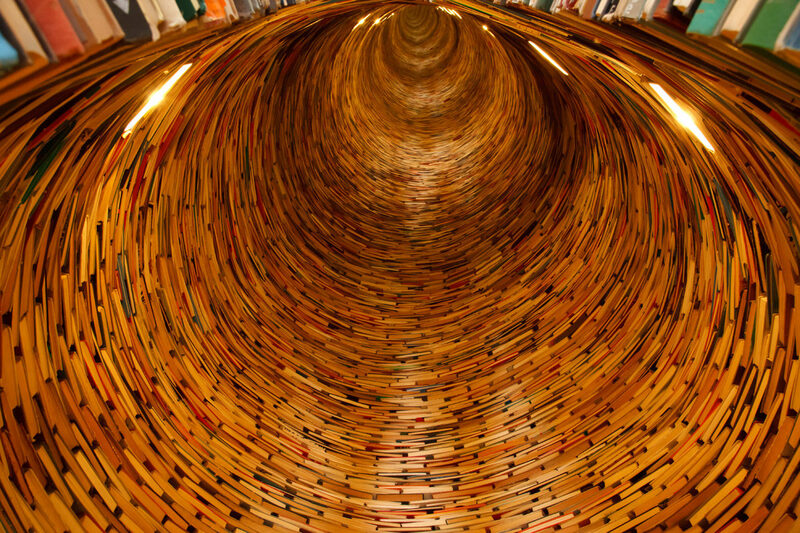 Exhibitions are a great way to surface and contextualize collections within libraries and archives. They are also an opportunity to bring faculty, staff, and students together to collaborate and produce public-facing knowledge resources for our communities. In the exhibits I curated & co-curated below, archivists and librarians provided metadata and well-formed digital objects; digital scholarship units provided sound preservation platforms; and subject-specialists provided the context and narrative thread for the material being presented. Please enjoy some examples of this collaborative work below. Using Spotlight, an exhibit platform leveraging the expertise of the Blacklight/Hydra community, I worked with Special Collections and Archives to create the scholarly contextual narrative around the Gisèle Freund fonds at the University of Victoria Libraries; Kathy Bohlman, archivist, created metadata for the platform. Our team chose Spotlight since it is “deliberately positioned to facilitate community contributions and promote sustainability” through shared resources and common development across the library community. You can visit the exhibit on our exhibits platform. 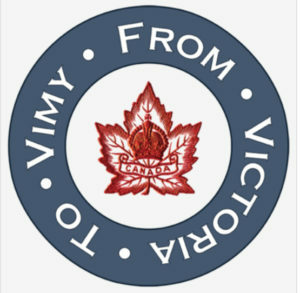 With my colleagues, I helped design and implement the grant-funded exhibition on the World War I collections held at the University of Victoria Libraries. I also had the opportunity to design the logos and headers for the exhibit. 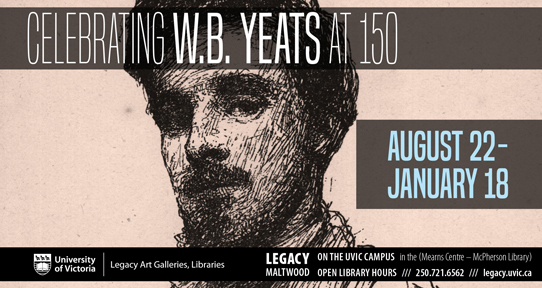 An exhibit celebrating the life of W. B. Yeats, curated by me, Heather Dean, and Chloe Powell, was showcased in the Legacy Maltwood Gallery, Mearns Centre for Learning—McPherson Library from August 22, 2015-January 18, 2016. 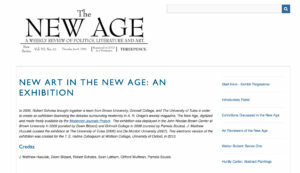 In 2005, Robert Scholes brought together a team from Brown University, Grinnell College, and The University of Tulsa in order to create an exhibition illustrating the debates surrounding modernity in A. R. Orage’s weekly magazine, The New Age, digitized and made freely available by the Modernist Journals Project. 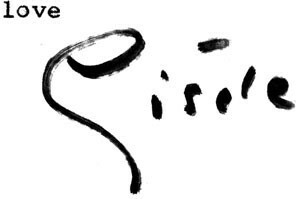 The exhibition was displayed in the John Nicolas Brown Center at Brown University in 2005 (curated by Dawn Blizard) and Grinnell College (2006). J. Matthew Huculak curated the exhibition at The University of Tulsa (2006) and De Monfort University (2007). I created an online version of the exhibition for the T. E. Hulme Colloquium at Wolfson College, University of Oxford in 2013. 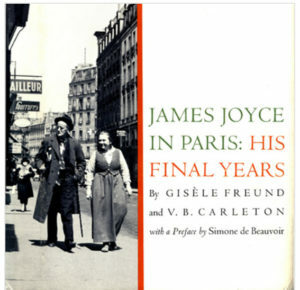 Thanks to a unique partnership with the University Library, The Department of English, and The Electronic Textual Cultures Lab, MVP Co-Director, Dr. J. Matthew Huculak and Kathy Bohlman, MAS, launched “From Paris to Victoria: Giséle Freund’s James Joyce Photographs” in the Mearns Centre for Learning, Special Collections in the University of Victoria Library (June 16-July 10, 2014). 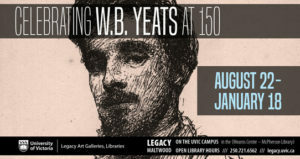 This photographic exhibition highlights the Gisèle Freund Fonds held by the University of Victoria Library and includes the most intimate photographs ever taken of Joyce and his family. I made a digital exhibit featuring some of the material from UVic Special Collections and archives using Omeka.